Written a book? Submit a query for a critique! It’s easy to read about scary, fearful, or intense things. Sometimes it’s actually entertaining. Some of us even prefer books that are frightening (Stephen King; Dean Koontz). Even if we’re not reading suspense or horror per se, the characters in almost all plots will experience fear and anxiety. But why do we enjoy it? Heck, how many of us spend our days protecting ourselves and our families against accidents, pain, loss, failure, and death, only to then willingly immerse ourselves into a fictional plot via book or TV which contains those same things? It’s because of what comes after. Resolution, peace, safety. If you think about it, that’s the truly entertaining part—the moment when salvation arrives, the tide turns, the hero shows up, and evil is thwarted. This resonates with all of us because, regardless of what we say we believe, on a cellular level, we are wired to expect God to work out all things. pay attention to the part where help arrives. God is in those moments. Got a dusty manuscript somewhere that’s dying to be published? Writing a query letter but need some direction? Well, come on down to Red House Books on June 11th from 11:00-1:00 to get some tips on how to see your book through from start to finish. The first twenty to submit query letters* will receive a critique! 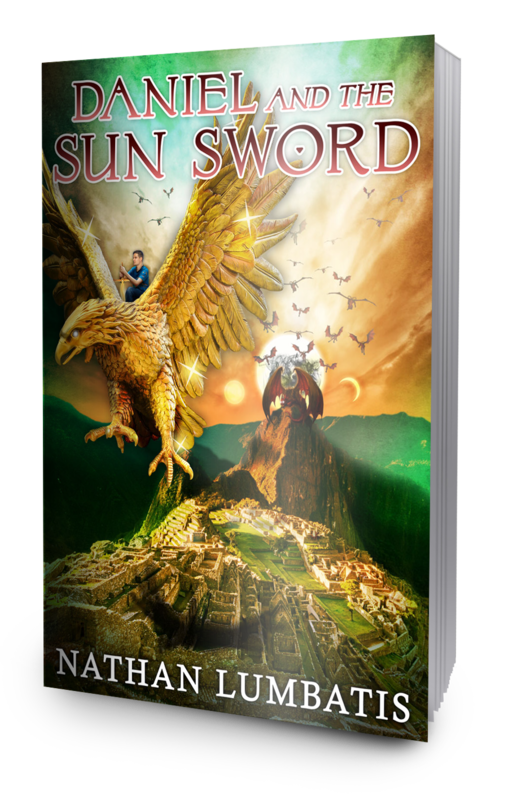 Copies of Daniel and the Sun Sword will be available through the bookstore, so click here for the Facebook Event page where you can RSVP. You can also do so by calling (334)-792-1475. *Submissions can be sent to nathan.lumbatis@gmail.com and will be given back to authors in person on the day of the book signing and publishing presentation. This entry was posted on April 30, 2016 by nathan.lumbatis. It was filed under Christianity, Daniel and the Sun Sword news and updates, Getting published, YA Authors and was tagged with AL, alabama authors, book signing, Christian books, Dothan, Red House Books, young adult christian.